When can a grandparent sue for possession and access in Texas? | The Draper Law Firm, P.C. Grandparents are the only people under the Texas Family Code who can file a suit strictly related to possession and access, but they can only do it in very specific, limited circumstances. Filing suit to request possession and access is different than filing suit to request conservatorship. A suit for possession and access only requests a possession schedule that allows the grandparents to have set visits with the children, whereas a suit for conservatorship also includes requests for certain rights related to the children. Under the Texas Family Code, a grandparent may request possession and access only if: (1) at least one parent of the child has not had rights terminated; (2) the grandparent can overcome the presumption that a parent acts in the best interest of the parent’s child by proving by a preponderance of the evidence that denial of access would significantly impair the child’s physical health or emotional well-being; and (3) and the grandparent’s child (the parent) has been incarcerated for the requisite amount of time, has been declared incompetent by a court, is dead, or does not have actual or court-ordered possession of or access to the child. In other words, if a child has two parents who are seeing the child, the grandparents have no rights to sue for possession and access, even if the parents are completely cutting them out of the child’s life. Another requirement for grandparent possession and access is that the parent must be completely denying access to the grandparent. As long as the grandparent gets to see the child on a rare occasion, that is enough to kill a claim for grandparent possession and access. A grandparent may have standing to file suit for conservatorship without having standing to file suit for possession and access. 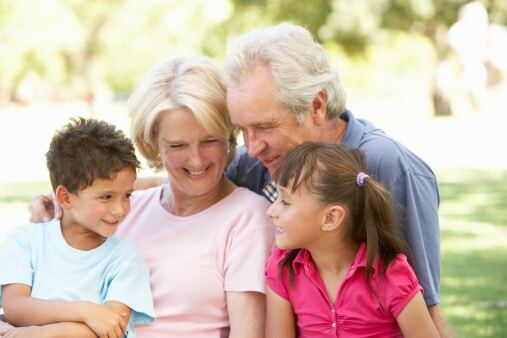 For a discussion of when a grandparent can sue for conservatorship, check out this blog post.